For decades tireless volunteers have built and maintained dedicated trails for Powell River’s small but passionate mountain biking community. This community ranges from teenagers building backcountry bike parks after school to entire teams of trail builders creating vast and interconnected trail networks. It’s been a slow process. In recent years however, events have thrust thrown River into the heart of the British Columbia Mountain Biking scene. This has brought increased awareness to the awesome and varied terrain that Powell River area has to offer. Firstly, the BC Bike Race came to town! 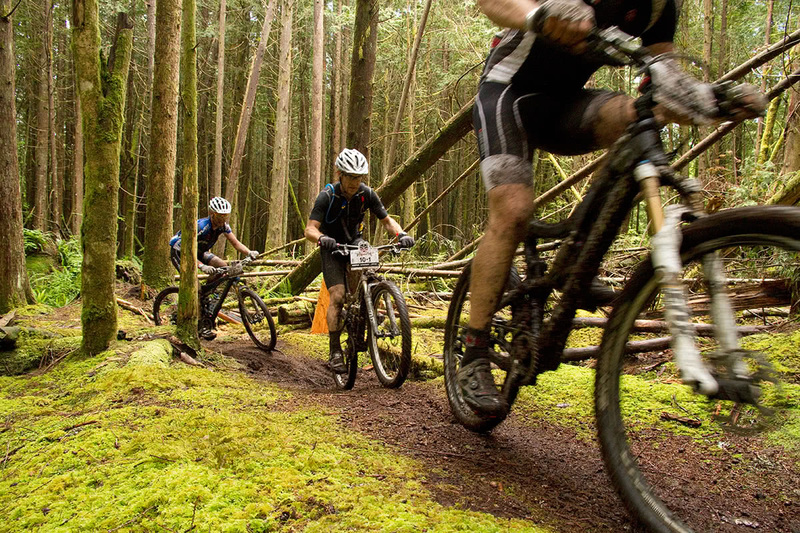 The race is an annual 7 day mountain bike stage race that attracts over 600 participants a year. 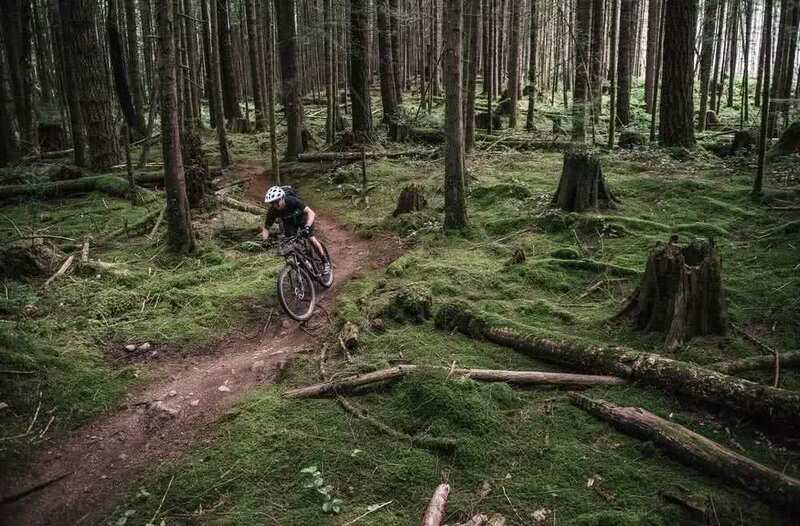 It travels to communities across coastal BC, holding stages in world class mountain biking destinations such as Squamish, Whistler, Cumberland, North Vancouver, and now Powell River! The inclusion of Powell River amongst other established and famous mountain biking towns in BC is a great testament to the work our volunteer biking communities have put in over many years, and recognition of the world class biking to be found here. Secondly, After years of talks and designs, the Powell River Bike and Skate Park opened in 2015. 2.5 acres of jumps, ramps, wall rides, lifts, lips and landings, transitions, and pump tracks – including the first ever concrete-poured pump track in North America! This modern facility has become a central hub of the biking community in Powell River. Routes exist for all ages and abilities of rider. So strap your bikes on the back of the vehicle and check it out during your visit to Powell River! Check out the Powell River Cycling Association for maps, news about biking in Powell River, associations within the Powell River biking community, and much more.